Be first in touch with Bilbao, Brno, Guimarães, Helsinki, Sønderborg, Vienna, Vilnius’ best practices on Smart Cities and innovative urban governance! 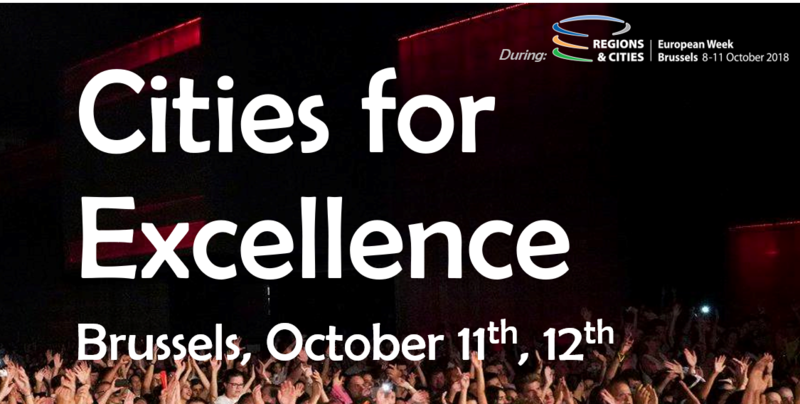 Cities for Excellence event will be held in Brussels, in Oct 11th and 12th during European Week of Regions and Cities at Lithuanian and Portuguese Permanent representations to EU. Follow in first-hand the presentations from European Commission both opening and closing the plenary session, Friday Oct 12th. Interventions from ERRIN, EUROCITIES, CARTIF, GAIA, VITO and Universities of Vilnius (VGTU) Minho, Wolverhampton will be delivered, making this event the unmissable opportunity for networking to new H2020 projects and strategic partnering to FP9/Horizon Europe for Cities for Excellence related missions. More information about the event and registration here.